Finally! Something the whole family cannot watch. 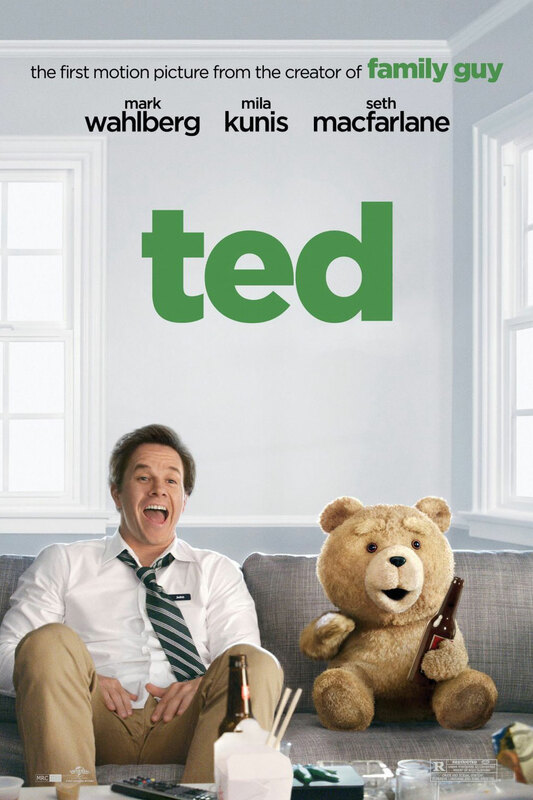 If you’re sick of watching the “PG, fun for the whole family” movie, then Ted is the movie for you. A childhood tale twisted in the Family Guy way. The movie starts with a young John Bennett (Mark Wahlberg) making a wish to bring his teddy bear “Ted” (Seth MacFarlane) to life and now fast-forward 27 years later. John has to give up Ted to be with Lori Collins (Mila Kunis) in other words “he has to grow up” straight from the girlfriend dictionary, if I had a nickel for every time I heard that… moving on... You’ve probably seen all this in the trailer, and to be honest that’s the basic story but the shenanigans that Ted and John do is the seller here. From pot to strippers to crack to Flash Gordon, Oh yeah its fun filled not so family entertainment. If you’re a fan of Family Guy then this is a movie you have to see, if you’re not, well, it’s never too late to become a fan. Bottom line, it’s funny as hell and entertaining. And even though the ending is a bit mushy, the small slideshow after the ending gives the unique flavor of comedy that Seth MacFarlane brings to the table. "Oh, I hear the fat kid running! I bet it's hilarious!"